This interview was held in April 2014. Relevant news at that time was the San Antonio Town Hall move to restrict the opening hours of bars in the West End, and the sad death of DJ Frankie Knuckles. For reasons that may be obvious, this front page was our most viewed online for some time to come. Perhaps one benchmark of a true entertainment icon is the ability to traverse generations, and in that Judge Jules has certainly fulfilled the brief. Clubbers from 20 to 50 hold universal respect for the man, the DJ and the brand that is Judge Jules. For those of us at the age where we hold collective incredulity that Michael Parkinson’s TV ads are soon to be applicable, the Judge holds an extra special place. Hard to contextualize for those having grown up in a streaming social networked society that only 20 years ago our options to access the latest music were limited to radio and the clubs. London Manchester Birmingham and a few others at least had some additional pirate radio, but go out to the provinces and what did you have? Radio 1. Seriously though—think about it. If you wanted to hear a live DJ tonight how many sources could you access? Global, Sonica, OpenLab, are just a few of the locals. Radio 1, Radio 1 extra, Radio 1subgenre, and if it floats your boat you could probably find a Cambodian Hip Hop station banging them out til morning (try PolPotHipHopFM.com). 20 years ago most of us had one choice and one choice only—Radio 1. I’m not saying this as necessarily a negative. With so much choice now the quality dissipates across the air/net waves. We were treated to weekend nights of Danny Rampling, Dave Pearce, and of course the man in question—Judge Jules. The limited options also had a way of creating a kind of collective experience. When you went out for the night chances are most of the people in the same club had also heard the same radio earlier on. You were in the same groove already and it added something to the experience. Anyway, I digress, this is not intended as an exercise in nostalgia, but to try and convey the difference in influence and audience a Radio 1 DJ had back then. So Judge Jules was and remains a big name, but the level of influence over the Dance Music scene back in the day was something almost impossible to conceive in the current world. For me personally Judge Jules had a double whammy of reasons to iconize. After the late eighties and summer of love I had swapped my acid house smiley face for a family house earnest face as home, business and children took centre stage pushing music into the wings. On returning to the scene in the late nineties he was arguably the most important/influential slot of the lot—the legendary show that was Judge Jules Saturday Night warm up. His was the show we all had on as we were getting together ready for a big night ahead. In addition to the direct audible enjoyment of the show itself, I think there were additional subliminal effects that add to the special place he holds. I will try to explain it like this; select any noise/tune/sound for your alarm clock and you will grow to despise it. I had a cute baby laughing and gurgling on my phone alarm for a while—surely one of nature’s most pleasurable sounds, but within weeks it grated on me as fingernails down a blackboard. I once bought an Islamic call to prayer alarm clock in Brick Lane and I think it was only due to it being hurled from an upstairs window soon after purchase that prevented me taking on the Jihad single handed. Judge Jules show was the very opposite—the ´noise´ my brain associated with the very best time of the week. The change-over from responsibility to frivolity, from pressure to pleasure. ´Coming up´ is a simple but perfectly descriptive use of English language. Music was back in my life in a big way and it wasn’t long before London took over Saturday nights for Fabric, Egg, etc., and onto Ibiza for insane weekends of 24/7 Clubbing. After being gifted a pair of old belt drive decks and the epiphany of playing being even better than listening, I stopped looking so much to the Radio, but by then the path had been laid, a path that would ultimately lead me to my life and home in Ibiza. It was a life changing time, and Judge Jules was one of the key influences that made it happen. So how did this iconic status manifest itself when meeting the man himself for an interview with the newspaper? To be frank I became a bumbling, tongue tied, semi-coherent idiot. Many men will recognise the effect from some point in their past when attempting an approach to a new and much admired girl. Just when you want to be at your sharpest, most incisive and wittiest, your brain decides it has forgotten how to speak and as panic sets in every further utterance seems to dig your hole deeper. I really would have thought I’d been round the block enough to be beyond such issues, but I guess it just highlights again that for me, and I suspect many of my era, Judge Jules really is one of the big ones. Cutting my losses I brought my lack of lucidity up and he was perfectly gracious about it. Thankfully there was less need for my input than in many interviews. Though Ibiza is the second home to his family’s main London base, it was evident throughout our time that he has genuine and strong feelings for Ibiza that go far beyond the job of DJ. 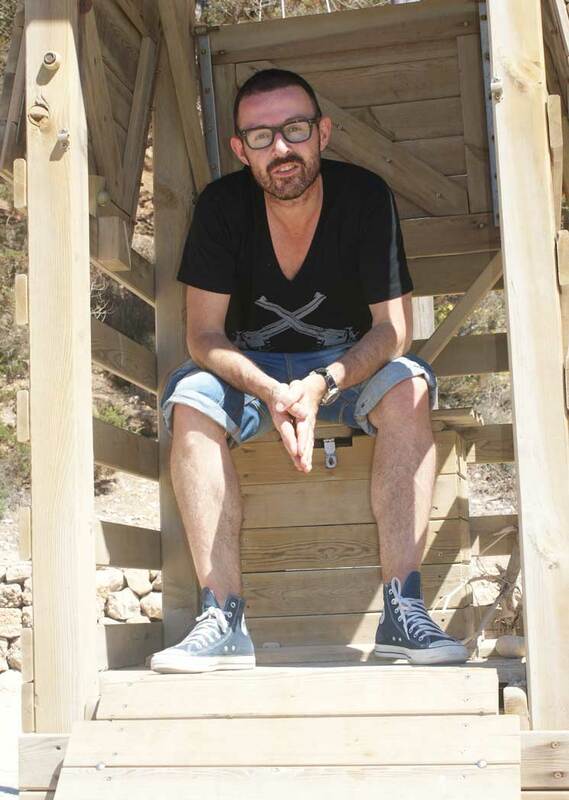 I am privileged to present our interview with Judge Jules, the Ibizan. By day Entertainment Lawyer, by night DJ & Promoter. Family Homes in North London and Ibiza. I speak fluent Spanish. I think it is very important when you have a home and do business here. I had a restaurant business here too. It’s a real incentive to learn the language. When I say Spanish I mean Castellano. Although there is a strong Ibicenco voice here, you don’t hear Catalan so much on a day to day basis. I noticed in Barcelona recently you hear Catalan far more on the streets. Learning a language is about finding opportunities to use it. For example we live here mainly in the summer so I couldn’t tell the Spanish for Overcoat and Scarf, but I do conduct a lot of business here so I could understand a legal contract. If you are able to learn the language, you should do it. Wife Amanda is an on/off singer with Angelic records which charted, but it’s difficult to have a multiple focus when you have kiddies. My days are spent in Law, we live in Highgate, North London. and have 2 Children. We have had a home in Ibiza since 1999 and our current Villa 12 years. My son is 14 my daughter 9 so she is still all about dolls but my son is showing signs of being a DJ. I’ll encourage that and help him. He is good at making music, good with Logic. At the same time I want him to have a youth and not grow up too quickly. The children go to school in the UK. We did contemplate moving here for the winter but at that time the flights were so poor. Also winter in Ibiza is a bit of an acquired taste. When you are from a big city it seems very quiet. It’s not that I don’t like it, the island is beautiful, tranquil and for those people working full on in the tourist season I can see the appeal—the winter months must be a sanctuary, an oasis of peace. I love to visit in the winter but I think I would find living here just a little too sedate. Our Ibiza home really revolves around school, and the commitments of the legal work. In addition to my London clients I look after the legal affairs of several Ibizan music industry concerns, there is an obvious natural connection for me. NG: Perfect family Sunday in Ibiza? If the beaches were like this every day it would be the beach (our interview is being held on a glorious day at Cala Salada with no more than a dozen others sharing the beach). We like the old town, the marina and great restaurants. Es Pidor was my favourite but it closed a year ago. I was very sad about that. I like Can Pilot and that type of traditional Spanish restaurant with cooking on hot stones. NG: You are known as a big Arsenal fan. What is your take on their current situation and Wenger´s management? Having known some footballers, people in clubs and other lawyers working in sports, I think there is so much more going on behind the scenes than people might realise. It is far less of an emotion and much more of a business than people give it credit. I don’t know specifically how that relates to Arsenal but you just don’t know how those factors are affecting them and so whether Wenger would like to be doing something different but has his hands tied. It is disappointing that being the second team in attendance and support is not reflected with success at the moment, but I’m not one of those people calling for the manager’s head after a bad result. We have 2 season tickets so I go whenever I can. NG: Can you tell us about your personal journey to Ibiza? I was first booked to play here in 1988. I did a gig at Pacha and to be honest I can’t remember much more about the trip. For those that care to admit it I think that’s pretty common for your first visit, certainly back then. I do remember Ibiza had only just got it’s first roundabout and the locals couldn’t get the hang of it, nothing has changed there then. After the first gig I joined Kiss FM and did a range of stuff with them around San Antonio—the Star Club and Es Paradis, then came Clockwork Orange which was really big at the time. For the next 5 years I’d be coming over weekly playing a rota of clubs—Cream, Miss Moneypenny´s, Manumission, and more at Pacha before then settling on Eden. NG: How did Judgement come about? I was getting good numbers for these major British club nights and it just felt the time was right to take a chance. It went from Star Club which was all about the package holiday trade, into an all new stand alone club. I got involved in the design and style. Judgement Sundays was the club’s key night for a very long time. Last year with the new ownership we moved to Friday and it worked really well. The new owners invested a lot in the building, the transformation of the club was amazing, and I think that is reflected in San Antonio as a whole. A lot of people are very dismissive of San Antonio but in the context of Ibiza as a product I think it is really important. You have to see Ibiza as a product competing with other tourist destinations. For many tourists San Antonio is the stepping stone into Ibiza. Broadly speaking the under 25´s start in San Antonio, the over 25´s go across to Dén Bossa, and at some point you’ll realise a Villa is a better and not necessarily more expensive option. So as an introduction to what Ibiza is all about San Antonio is really important to the island as a whole. It has some great facilities. The Passeo is beautiful, I love what Ocean Beach Club are doing, the new Rita’s is amazing too, so I get very defensive about San Antonio. I have lots of friends living here who are pretty derogatory about it, but they don’t see it in the bigger picture. It is not aimed at them. As a natural bay it is up there with anything in Spain, and you can’t put a price on the sunset. Ibiza Town is beautiful and cosmopolitan, but I will always fly the flag for San Antonio. It is so important not to lose sight of Ibiza as a product, particularly where it is a product appealing to young people. You have to regenerate yourself. Most of the hotels have improved. You can still go for a budget hostal, but you don’t have to any more. NG Are you aware of the changing regulations in San Antonio that have resulted in protests from many of the tourist bars? Telling bars they have to close earlier is unfair and typically small minded. Unfortunately that is typical of local government in Ibiza. I don’t think it will put people off, because Ibiza as a brand is too strong for an hour here or there to make a difference. If I was a local politician I’d be hopping on a plane to Magaluf and Tenerife, to Greece, to Corfu and seeing what your competitors are doing and using that as the basis to compete. Instead they sit here and moan about things. It sounds soulless to say it but the reality is it doesn’t matter if you are selling tourism or widgets, it is a product and flying in the face of what your customers want is ridiculous. Fortunately Ibiza’s plus points are really strong, its legendary clubs and short flights from the major European cities for example. But relying on that and ignoring what your competitors are doing is at your utter peril. Anybody who shortens the closing hours is not looking at the bigger picture. Of course Ibiza is a beautiful natural environment, and I understand for instance the furore regarding the proposed oil exploration, but that is a completely separate issue to Ibiza as a product in the world of tourism. Its upmarket status has improved hugely, reflected by my being able to fly direct into Heathrow with BA in April. Slots at Heathrow cost BA millions and they must have great confidence in us to use those slots for Ibiza. Although the business community are doing everything they can to compete, there is so much resistance from Government. The proposal for a second golf course is a good example. There is no point getting people here if there is nothing for them to do when they arrive. The percentage of tourist derived income in Ibiza is even higher than places like Majorca and the Costa Del Sol, we have to be even more aware and competitive in the market. NG: Any designs on entering local politics yourself? It would only make sense if there was a big enough British community, and I don’t think there is. 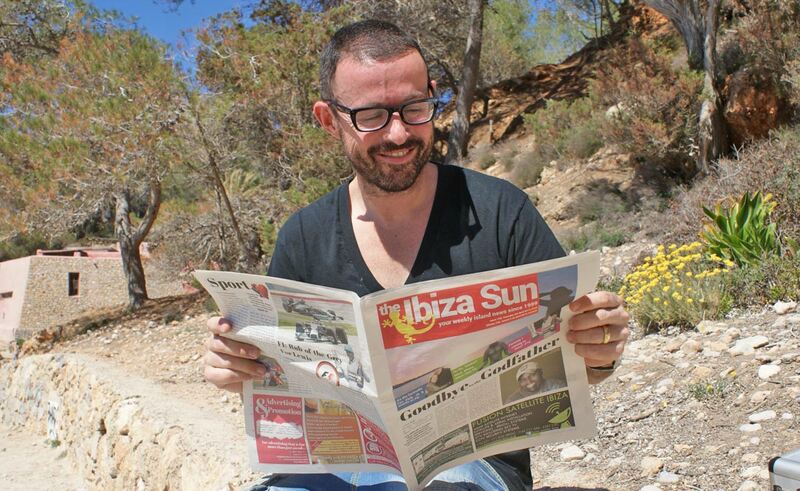 It would be easy to criticise my views as an outsider, but I really care about Ibiza. NG: What are you doing on the DJ front? I love doing Global Warm Up which has built up to 700,000 subscribers worldwide. Of course that is not live and I miss that connection so still really look forward to the live shows. NG: Ever still play vinyl? I don’t really have this sentimental view of vinyl that I know many do now. Not only was it a pain to carry around, but I’d get promos sent to me Friday, play them that night and by the second gig you could hear crackles. People look back now at those scratches with nostalgia but at the time it just annoyed the hell out of me. It should be more about the music than how it’s being played. Good DJ´s get the feeling and expression across to make it special. NG: And the legal work? I got a degree in law when I was 21, but then got into the DJ world. I knew I would always go back to it. I had to retrain when I was 38 so took the degree again. It was a decision to give myself something after 45—but the DJing is still going really well too. My experience of the business as an artist is a big plus. NG: Is there anything you would like to say re Frankie Knuckles? Frankie Knuckles is the most significant individual in the history of Dance music to have departed us. You simply cannot underestimate or downplay his importance to Dance music. I first went to New York when I was 18 and we used to hang out in record shops buying House music before it had ever taken off in the UK. Most of those first records were Frankie Knuckles. My favourite record of all time is Frankie Knuckles remix of the Nightriders “Let the music use you”. You kind of step back from saying without him House never would have happened, but I don’t know, perhaps that’s not too unreasonable a statement. NG: I know this is way cheesy, but can I get a photo of you reading the Sun. Sure, why not, I read it every week. Judge Jules, wise words to the very end. Our thanks to the man himself for taking the time and Amanda for fixing it up. Other Judges we like; Judge Dredd—no messing; Judge Judy—hot. Judges we don’t like; X Factor demi-gods; Sylvester Stallone playing Judge Dredd—what was that about? Judges we are ambivalent about; Mr Peter Sterling, Marrow and Green vegetable judge, Needham Market village fete—probably a nice enough bloke, never done us any harm. Ibiza News; More Noise Controls for San Antonio – But Where?